From Our Hearts: Transportation can be one of those things that is just a means of getting from point A to point B, but with VIP PDX and DoubleDecker PDX, you get an incredible luxury experience! Super friendly and fun drivers, as well! How They Stand Out: We have a vintage 1959 Bristol Loddeka double decker bus that is amazing, as well as our customer service. We maintain very high standards for our drivers and comply with local and federal regulations. 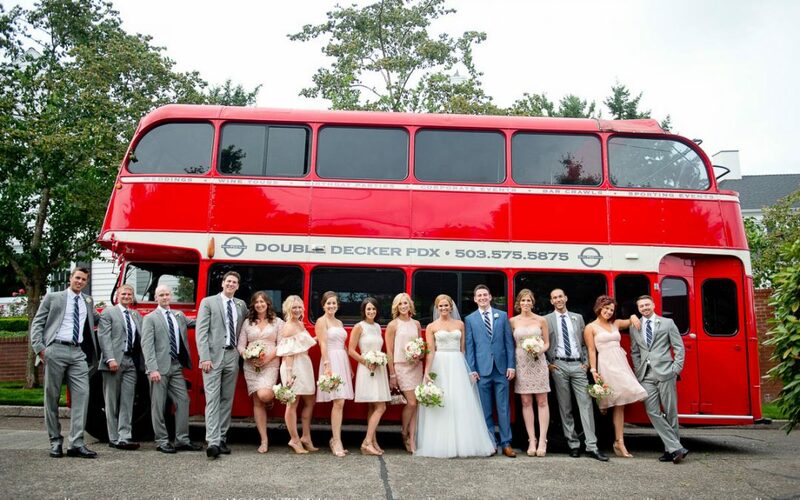 Piece of Advice: Rent a bus for your guests so they can celebrate without worry of getting a DUI on the way home! You can make it an amazing experience with our Double Decker bus and/or Executive Coach. From Their Hearts: We have only done one event there but went to the open house and loved the venue! What a DEAL! : We will extend a 10% discount to Water Oasis clients!